All passengers need to purchase their tickets before boarding. 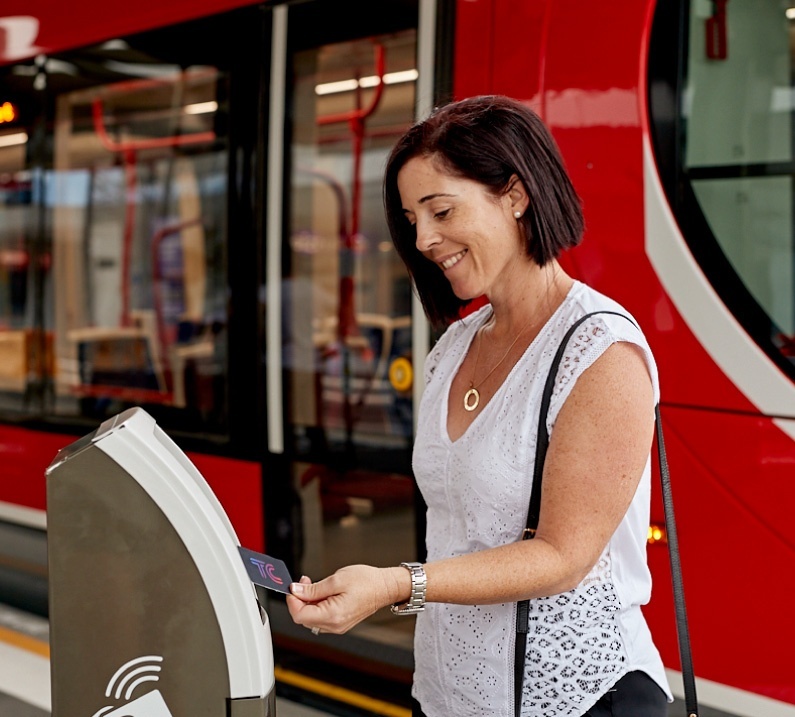 If you are connecting with a Transport Canberra bus service you must tap on and off between each trip. Buy your MyWay card in advance online or at a MyWay recharge agent. 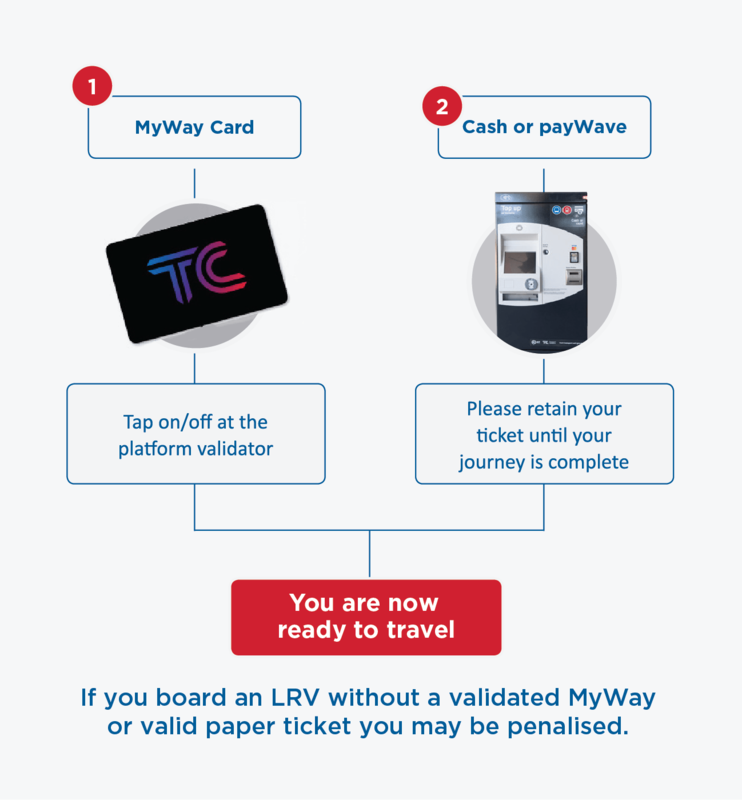 You can top up your MyWay card at a ticket vending machine. Please tap on at the platform validator before boarding the LRV and tap off at your destination stop. Platform validators are located at all stops. Ticket vending machines are located at all stops and bus interchanges. You can purchase a single trip ticket which includes a free 90-minute transfer period. Daily tickets allow unlimited travel until the last service from the day of purchase. All tickets are valid for travel on light rail and buses. Visit www.transport.act.gov.au/myway-and-fares for your nearest MyWay agent.